Embracing the rich heritage and famous hospitality of the Scandinavian countries, Sister Bays Scandinavian Lodge is proud to continue in the traditions and history. 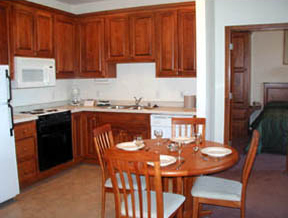 We invite you to experience Door County from the comfort of the luxurious Scandinavian Lodge. Our unique setting accommodates a variety of needs from a romantic and peaceful getaway for two to a serene and spacious place for family and friends to gather. So come & take the time to relax, enjoy our year-round vacation destination! 2019 Rates: $80-$215 off season; $159-$339 peak season. Front Desk: Su-Th 8-9, F & Sa 8-10. 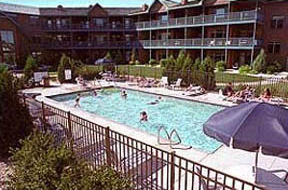 We have various accommodations to fit your needs ranging from studios, one, two and three bedroom condominiums. All rooms are furnished with linens and those with full kitchen facilities include a refrigerator, stove, dishwasher, microwave, dishes, utensils, and basic cookware. Also, a jacuzzi double whirlpool, fireplace, living room area with a sofa sleeper, and separate baths are included in the condos. 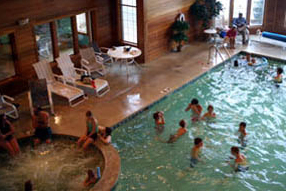 The amenities on our property include an indoor pool, children's pool, outdoor pool, whirlpool, sauna, fitness center, game room, tennis, playgournd, bike rentals and storage, and two conference facilities for those bigger parties. We are ideally located on Hwy 57, just entering the beautiful town of Sister Bay, where we are seconds away from the eateries, shopping and golf. For more information and reservations, please call 1.888.64LODGE.